Electric blankets are designed by inserting some sort of a heating element or insulated wire into the fabric of the blanket.Although they can certainly be pleasant on a cold night, electric blankets have been involved in house fires, causing some people to think twice about using them. There have been many documented cases of individuals suffering severe injury as a result of these devices malfunctioning. The wire forms a zigzag pattern throughout the blanket. When the user plugs in the blanket and adjusts the temperature, the control unit opens the flow to the proper amount of electricity. As the electricity flows along the wire, it puts off heat. By necessity, the wire must be quite thin and flexible in order for the blanket to be comfortable to use. There are a number of potential problems with electric blankets. If not carefully monitored, they can become too hot and cause burns, especially in the elderly and very young. If the blanket gets balled up as often happens during a normal night’s sleep, the heat can become trapped, causing the blanket to overheat. Even more seriously, electric blankets can be an ignition source for fires. The thin, flexible heating wire can become worn through the normal use of the blanket. A worn wire can cause a fire that is quickly fed by the fabric of the blanket and other bedclothes. A simple Internet search will reveal many stories of adults and even children awaking to find their bed in flames. Serious burns and even death, not to mention significant property damage, have resulted from these incidents. 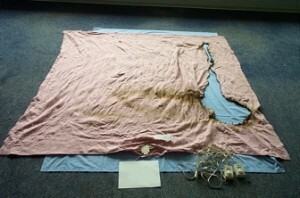 Blanket manufacturing companies have attempted numerous fixes to reduce the risk of electric blanket fires. Safety mechanisms have been built into the heating element to shut it off if it becomes too hot. Unfortunately, many of these safety mechanisms have not been effective, and there are even reports of the safety device itself overheating and causing a fire. Some companies have changed to a nylon heating wire. While this change seems to decrease the incidence of fires, they still occur. While some companies have voluntarily recalled their blankets, others continue to deny the existence of a problem. Consumers are becoming convinced that litigation with the help of an injury lawyer is the only way to force manufacturers to take responsibility for the problems with their product. Numbers of lawsuits have been filed and settlements successfully negotiated between injured consumers and product manufacturers. If you or a loved one has suffered injury or property damage related to the use of an electric blanket, you need an injury lawyer who is experienced in dealing with these kinds of cases. We have successfully represented numerous clients in their battle to gain compensation from blanket manufacturing companies. In addition, our firm has gathered the nation’s largest document library on electric blanket fires. This information base serves as a strong support in the defense of clients who have suffered injury because of these devices. Contact the Warshauer-McLaughlin Law Group, P.C. today by email or at (720) 420-9800 for a free consultation.